I love discovering new brands! Well Zoeva is not a new brand, they have been around for awhile now, but it is new to me. I received three eyeshadow palettes and a brush set to test and I’m so glad I had the chance to try them. 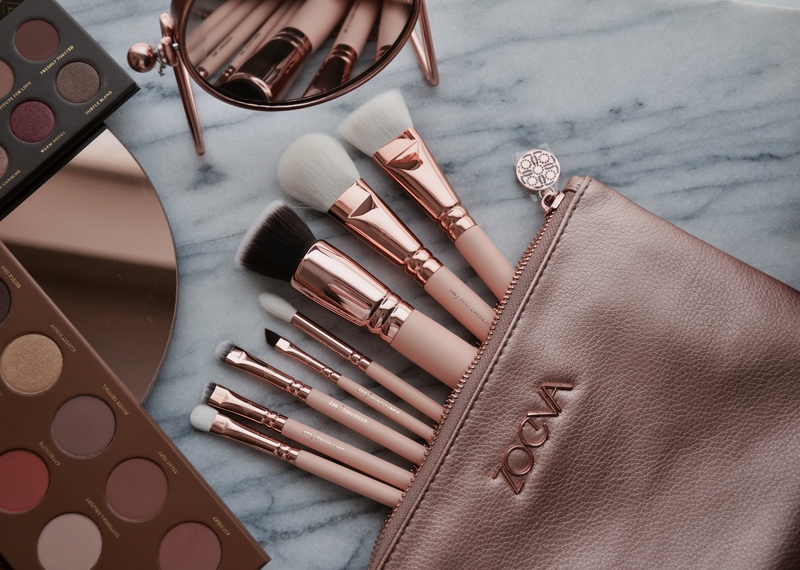 If you are not familiar with Zoeva, they are a makeup and brush brand based out of Germany. They make quality brushes that are reasonably priced. The same goes for their makeup. First up, the Zoeva Caramel Melange Eyeshadow Palette. The palette features warm toned shades that range from tawny butterscotch to toffee tones and bronzed cinnamon shades. There are three finishes in the palette, matte, matte with glitter and metallic. The formula of the eyeshadows is enriched with Vitamin E and is paraben, mineral oils, perfume and phthalates free. 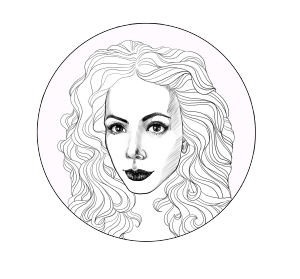 Most of Zoeva’s palettes are made in Italy. Caramel Melange is my favorite from the palettes that I received. The palette features beautiful orange and bronze tones that are perfect for fall. The formula of this palette is one of the easiest and most user friendly palettes I’ve tried. The eyeshadows blend so easy and quick on the eyes with little to no effort. Because the formula is thinner and buildable, it is a pleasure to work with. There is also no fallout with both the shimmers and the matte shades. I also like that Zoeva included a good matte vs shimmer ratio. You can really create day to day looks with this palette but also get good sultry smoky looks. I would also like to mention that the packaging is genius. It’s sleek and the palettes are very thin so they make for great travel palettes. 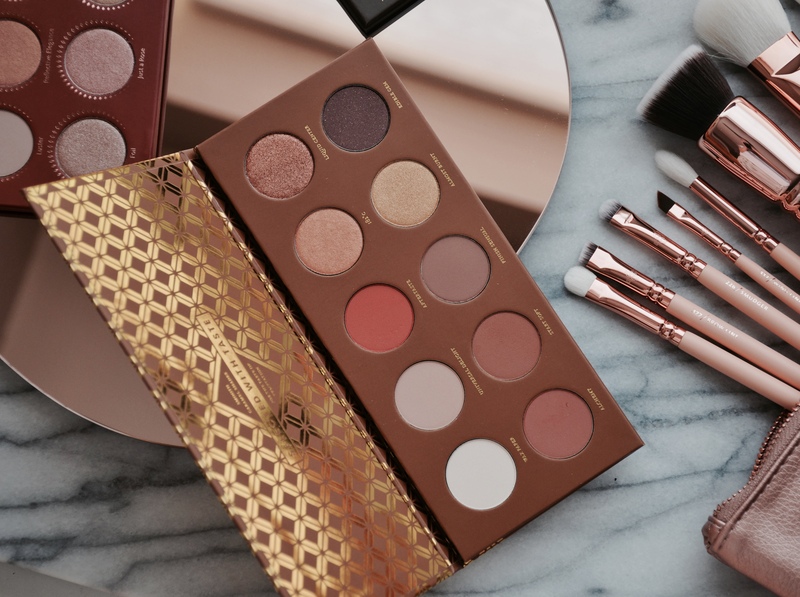 The Zoeva Rose Golden Eyeshadow Palette has a good mix of warm and cool toned eyeshadows. 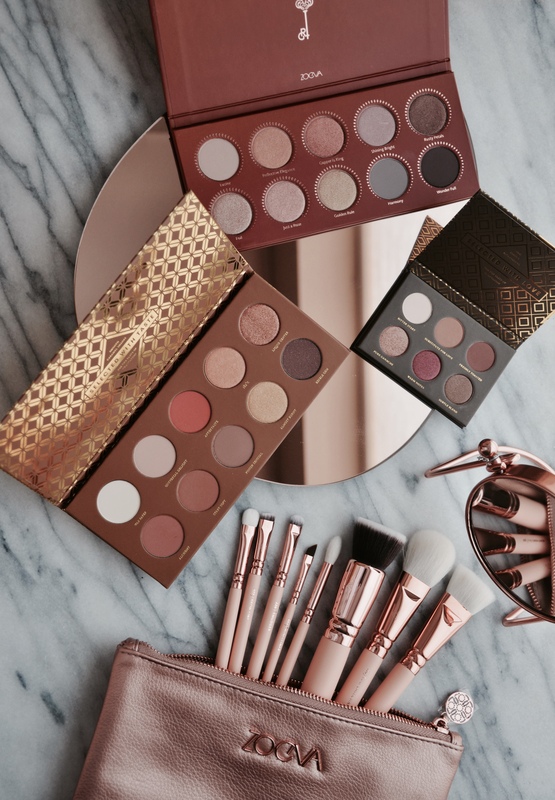 The palette features rose gold hues, copper but also some taupes. The quality of the eyeshadows is very similar with the Caramel Melange Palette. The shimmers are pigmented and apply without any fallout. The mattes are buildable and also don’t product any fallout. I find the shimmers very wearable (they are very smooth and don’t have any chunky shimmer or glitter). Zoeva also has six pan palettes that are perfect for travel. 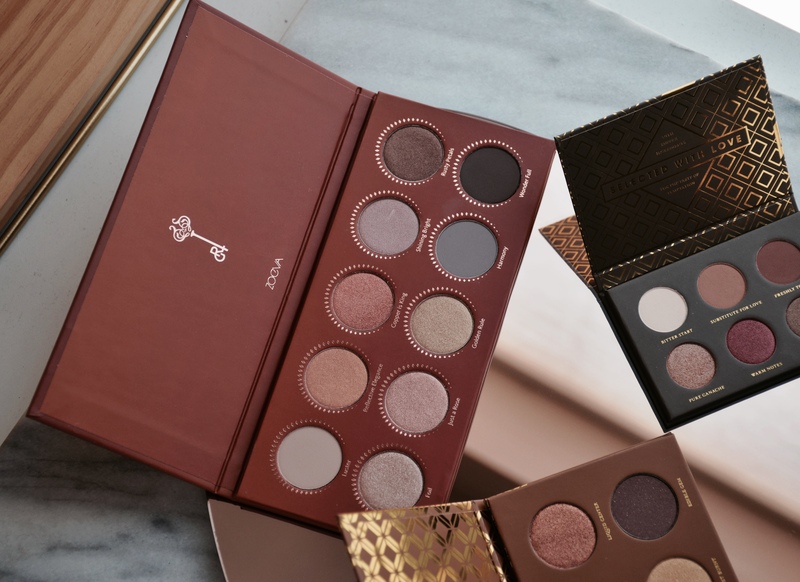 The Cocoa Blend Voyager Eyeshadow Palette is a smaller version of the Zoeva Cocoa Blend Palette that comes with ten shades. 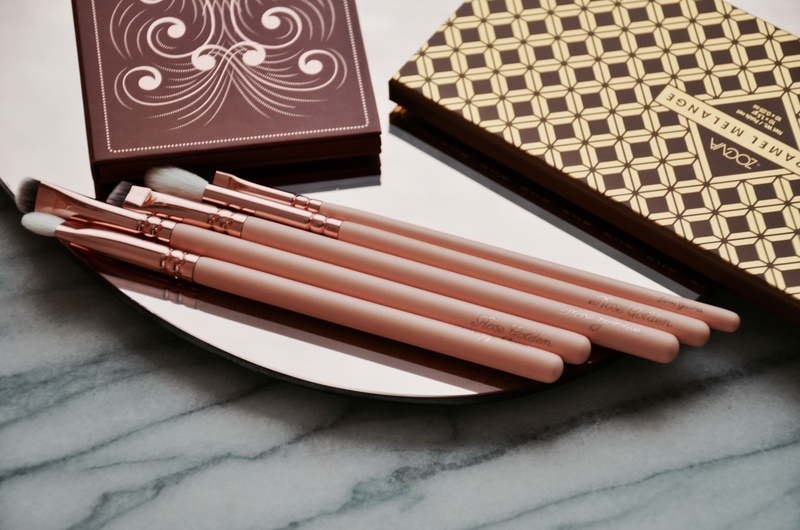 The palette features rich warm tones that range from truffle to bronze shades. I love this palette for every day use and also as a travel palette. 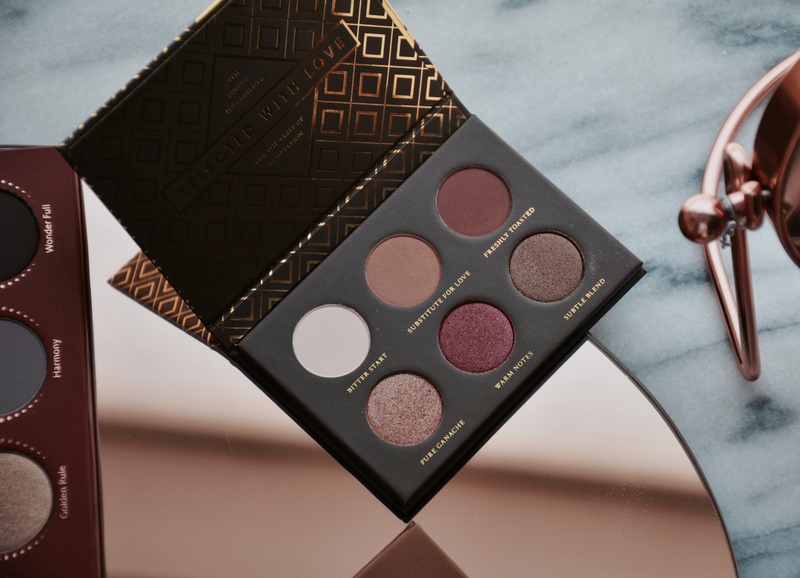 If you are like me and your every day look is full of bronze shades, you will love this little palette. The Cocoa Blend Voyager Palette comes with three matte and three shimmery shades. I think it is a good palette for creating daytime looks but also for beautiful smoky bronze or cranberry eyes. It was also my first time trying Zoeva brushes and I’m quite pleased with their quality. First, the design of the brushes is beautiful. The set comes with rose gold details and a pale blush shade. The bristles of every brush that comes in the set feel like heaven on the skin. They are all very soft and work really well. For the quality, they are comparable to Mac brushes which I’ve loved and used for years. Bottom line, I loved everything that I tried from Zoeva. 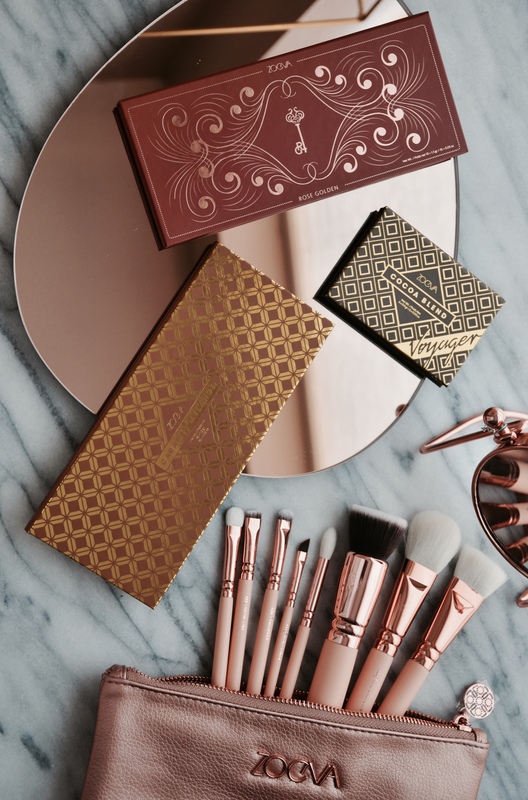 The eyeshadow palettes are of great quality and feature beautiful wearable shades (I still can’t get over the affordable price) and the brushes are my new favorite and go to brushes. The quality is amazing! I’m looking forward to trying more from the brand. Let me know if you have any recommendations.